We are entering the age of robotics. Robots will soon be assisting us in our homes; stacking our warehouses; driving our cars; delivering our Amazon purchases; providing emergency medical care; and generally taking our jobs. There’s lots to ponder as they do so. One obvious question — obvious at least to lawyers — is whether the age of robotics poses any unique challenges to our legal system? That’s a question Ryan Calo tries to answer in his article “Robotics and the Lessons of Cyberlaw”. He does so by considering the lessons learned from the last major disruptive technology: the internet. When it was originally introduced in the late 80s and early 90s, the ultimate fate of the internet was uncertain (and still is, to an extent). Nevertheless, it clearly created new opportunities and new challenges for the law. Some of those challenges have been dealt with; some have not. Robots are distinct from the internet. Although they may be integrated into it — and thus form part of the ever-expanding internet-of-things — they have a number of unique technological properties. Still, Calo thinks there is something to be learned from the internet era. Over the next couple of posts, I want to see what he has to say. I start today by looking at his take on the distinctive properties of robots vis-a-vis the distinctive properties of the internet. This takes the form of a compare-and-contrast exercise. I start by considering Calo’s take on the three key features of the internet, and the challenges and opportunities created by those three features. I then follow-up by looking at his take on the three key features of robotics, and the challenges and opportunities they pose. I won’t offer much in the way of evaluation and criticism, except to say that I think there is much to mull over in what Calo has to say. Anyone with an interest in the social implications of robotics should be interested in this. There are a number of technical and not-so-technical definitions of the “internet”. A technical definition might say that “the internet switches ‘packets’ of data between nodes; it leverages a set of protocols to divide digital information up into separate containers and to route those containers between end points for reassembly and delivery” (Calo 2014, 106). A not-so technical definition might talk in terms of “information superhighways” or the creation of “cyberspaces” in which information is exchanged. Connection: The internet allows for “promiscuous and interactive flows of information” (Calo 2014, 107). Anyone, anywhere can access the same sorts of information as anyone else. What’s more, this can be done at low cost (much lower than old systems for information exchange), and the system enables people to be information producers, as well as consumers. For example, the internet allows me to produce this blog and for you to read it. Collaboration: The internet allows for the creation of shared virtual meeting places. Within these virtual spaces people can collaborate on various projects, e.g. producing text, video, software and so on. These meeting places also serve as salons for debate, discussion and other kinds of collaborative conversation. For example, this blog creates a virtual salon, though the volume of debate and discussion is relatively minimal in comparison to other forums (e.g. more popular blogs; discussion boards; reddit). Control: The internet allows for either new forms of control and manipulation, or more exquisite versions of existing forms of control and manipulation. In other words, people now have a medium for controlling certain aspects of their lives with more precision or in a manner that wasn’t previously available to them. A simple example of this would be the way in which the internet facilitates shopping. With online shopping I am given much more freedom and control over my shopping experience (time, product, place etc) than is the case with traditional high-street shops. Another example, would be how virtual learning environments (like Blackboard and Moodle) allow me to create and share information about the courses I am teaching with the students I teach in a much more user-friendly and expansive form. These three features bring with them a set of opportunities and challenges. The challenges are particularly important from a legal perspective because they tend to stretch traditional legal rules to breaking point. That may be a good thing, if the rules protect interests that don’t deserve to be protected; but it might also be a bad thing, if legitimate interests are protected by the rules but the rule is ill-equipped for the characteristics of the internet. There’s no point talking about this in the abstract though. Let’s go through each of the challenges and opportunities. First, with regard to connection, it’s clear that this has tremendous potential for the sharing, copying and production (“democratisation”) of information. I, for one, am very glad to have all the knowledge of the world at my fingertips. It makes research, writing and dissemination of my own work so much easier to do. Likewise, in the commercial context, it allows for nimble, internet-savvy startups to take over from the lumbering behemoths of the corporate world. But it is clearly not good news for all. The internet makes it easy for artists to create and promote their work, but difficult to protect their property rights in that work. This is because the traditional intellectual property rules were not designed to deal with a world in which information is so readily copied and shared. Indeed, it is not clear that any set of legal rules can effectively deal with that problem (though there are some models, e.g. creative commons, DMCA). Likewise, the promiscuous flow of information makes it much harder to protect rights to privacy. We all now leave digital “trails” through cyberspace that can followed, stored and manipulated. This is something that is subject to increasing scrutiny, and some laws are in place to deal with it, but again the technology stretches the traditional regimes to breaking point. Moving on to collaboration, it is pretty obvious how this could be positive. Creating communities that allow for collaborative work and conversations can benefit individuals and society. But it also creates problems. Legally, the sorts of collaborative work done online can create issues when it comes to responsibility and liability. For example, who is responsible for creating defamatory publications (videos/text) when they are produced through some online (often anonymous) collaborative endeavour? Or who is responsible for defective non-commercial software? To some extent, we follow traditional legal rules in relation to authorship and control, but it’s not clear that they are always appropriate. Another obvious problem with collaboration is that the internet allows groups to work together for good and ill. Criminals and terrorists can create sub-regions within cyberspace in which they can promote nefarious ideologies and plan coordinated attacks. Finally, in relation to control, there are obvious benefits to be had here in terms of autonomy and individual choice. We can now do more things and access more goods than we ever could before. But at the same time, technological elites (including both corporate and governmental entities) can use the same technology to monitor and control our activities. This creates problems when it comes to individual and collective rights (e.g. tradeoffs between individual choice and state security). These are issues that have surfaced repeatedly in recent years. Calo argues that robotics has three key features too and that identifying them can help to illuminate the challenges and opportunities of the robotics era. I’ll talk about those three features in a moment. First, I must note some of the restrictions Calo imposes on his own analysis. It is common in philosophical and futurist circles to discuss the classic science fiction questions of whether a robot could be conscious, whether it could possess human-level intelligence, whether it could qualify for personhood and so on. These are fascinating issues, no doubt about it. But Calo avoids them. As he likes to put it, he is a conservative about the technology and a radical about its social implications. In other words, he thinks that robotics technology doesn’t have to reach the level of sophistication required for potential personhood (or whatever) to have major social implications. Much more mundane robots can pose challenges for the legal system. He wants to focus on those more mundane examples. Embodiment: Robots will be mechanical agents that perform actions in the real world. Unlike artificially intelligent software programs that send outputs to some screen or digital signalling device; robots will have a more diverse set of actuators that allow them to do things in the real world. For example, a military drone can actually fly and deliver a payload to a target; a robot vacuum cleaner can move around your house, sucking up dirt; a robot worker like Baxter LINK can lift, sort and otherwise manipulate physical objects. The list goes on and on. You get the basic idea. Emergence: Robots will not simply perform routine, predictable actions. The gold-standard from now on will be to create robots that can learn and adapt to circumstances. This will result in “emergent” behaviour. Emergent in the sense that the behaviour will not always be predicted or anticipated by the original creators. Calo prefers the term “emergent” to the more commonly-used “autonomous” because the latter is too closely associated with human concepts such as intent, desire and free will. Social Meaning: This is a little more obscure than the other two. Calo points out that humans will have a tendency to anthropomorphise robots and imbue them with greater social meaning, perhaps more than we do with various software programs. He cites Julie Carpenter’s work on attachment to bomb disposal robots in the military as an example of this. Carpenter found that operators developed relationships with robots that were somewhat akin to the relationships between humans and beloved pets. More generally, robots threaten to blur the object-agent distinction and may belong in a whole new ontological category. We can easily imagine ways in which these three features could be used to good effect. Embodiment allows robots to act in ways that humans cannot. For example, robo-surgeons could perform surgery with a level of precision and reliability that is not available to human beings. Likewise, emergence creates exciting possibilities for robots to adapt to challenges and engage in creative problem-solving. Finally, with social meaning, robots can be used not simply to substitute for emotional and affective labour as well (e.g. robot carers) as well as physical labour. These three features also pose challenges. I’ve discussed some non-legal ones before, such as the threat to employment. Here, I’ll focus on the legal ones. First, in relation to embodiment, Calo points out that the law has, traditionally, been much more concerned when activities result in physical (“tangible”) effects than intangible ones. This is something that has shielded internet companies from many forms of liability. Because internet companies trade in intangible information, they are exempt from many product liability laws (Calo cites some specific US statutes in support of this point). This shielding will no longer be possible with robots. Robots can act in the real world and their actions can have real physical effects. They are much likely to rub-up against traditional product liability rules. (Calo makes a more esoteric point as well about how robots blur the boundary between information and products — i.e. that they are information embodied. I’m ignoring that point here because it gets into an analogy with 3-D printing that would take too long to flesh out). Finally, with social meaning, and the associated blurring of the object-agent distinction, we get other interesting challenges to existing legal regimes. If robots are imbued with human-like meaning, it will become much more common to blame them and praise them for what they do, which may in turn affect liability rules. But it will raise other issues too. For example, robot care workers in the home could create a greater sense of comfort, but also of intrusion and surveillance: it will be like we are being watched and scrutinised by another human being. Another example has to do with the way in which human contact has traditionally affected the operation of the law. For instance, it has been found that patients are less likely to sue for malpractice if they meet with their doctor for longer periods of time and get a sense that he/she is competent. What will happen if patient care is delivered by robots? Will patients be less likely to sue if they meet with a robo-surgeon prior to surgery? Should such meetings be factored in by hospitals? These are all interesting questions, worth pursuing in more detail. That brings us to the end of this post. To quickly recap, the distinctive features and challenges of robotics and not the same as the distinctive features and challenges of the internet. 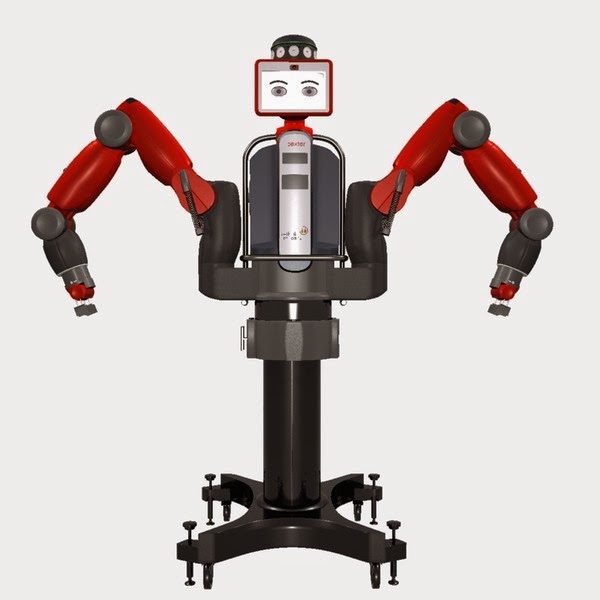 The internet was characterised by connection, collaboration and control; robotics is characterised by embodiment, emergence and social meaning. Despite this, they both pose similar kinds of challenges for the law. Where the internet stretched and threatened pre-existing legal regimes of ownership, privacy and liability, robotics is likely to do the same, albeit in a different way. Because of their physical embodiment and social meaning, robots may initially seem to “fit” within traditional legal rules and categories. But because of their distinct ontological status, they will force us to confront some of the assumptions and limitations underlying those rules and categories. All this raises the question: is there something about the legal challenges posed by robotics that demand novel or exceptional legal analysis? That's a question I'll take up in part two.